*Shoelaces, leather cord or yarn. If using yarn, put some scotch tape around the end to make the threading easier. *Beads of various sizes and colors. It is lovely to see the patterns the kids come up with. It is helpful to tie a knot at one end so the beads don’t slip off while the necklace is being made. 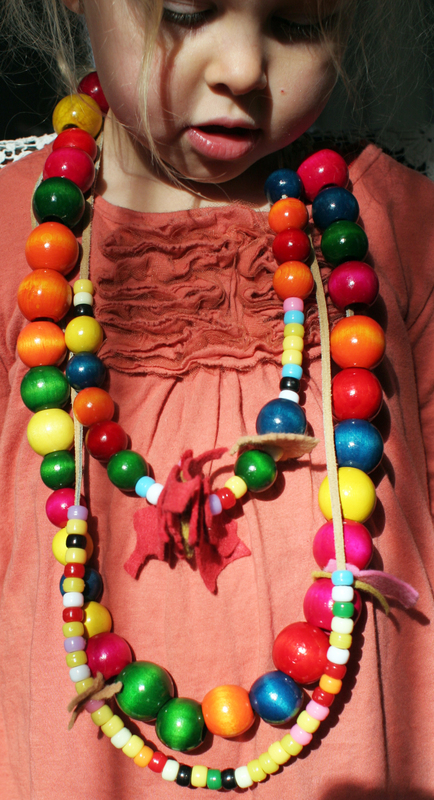 Do you have a good source for big beads like you show in the picture?